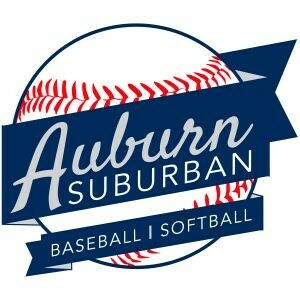 Updated Monday April 23, 2018 by Auburn Suburban Baseball & Softball. At this field on the south side of Stevens Mill Rd, there are three ball fields: “Benson Field” for Majors Baseball, “Sweetser Field” for Major and Senior Softball, and “Austin Field” for Babe Ruth Baseball. There are also three batting cages and the Snack Shack. 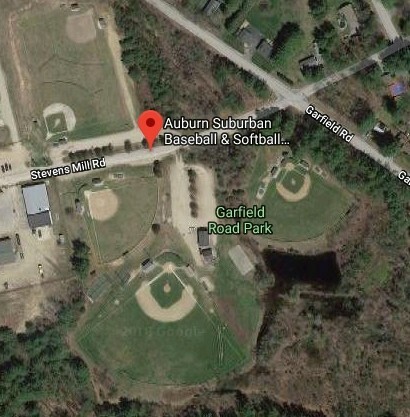 On the north side of the road, there are two fields: The Minor Baseball Field (closer to the road) for Rookies and Minor Baseball and the Minor Softball Field for Rookies and Minor Softball. The two grass areas formed in the corners from these two fields’ outfields are used for TBall practices. At this field we have a TBall field and Pulsifer Field proper used by Major and Minor Baseball. There is also a batting cage and the Pulsifer Snack Shack. At this field there is one baseball field that is used for Rookies Baseball games and practices for any division.